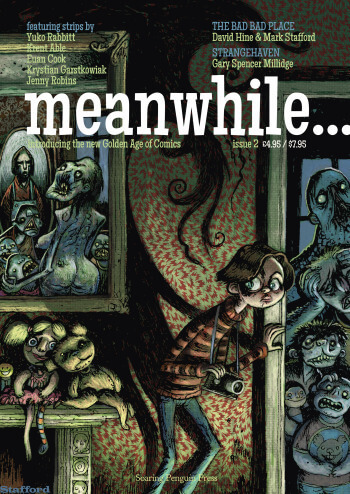 The Bad, Bad Place by David Hine and Mark Stafford continues in the second issue of Meanwhile, and is featured on our fabulous cover by Mark. Strangehaven by Gary Spencer Millidge continues with an all-new sixteen-page episode, and there’s a new installment of Yuko Rabbit’s 10 Minutes. We’re also unveiling original strips by Krent Able, Jenny Robins, Krystian Garstkowiak and Euan Cook.